Over the past year, I’ve drastically revised my skincare routine. I tried some new products and have now found a routine that not only works, but is easy on the upkeep. One such new addition to my skincare routine is using a serum. I got sucked into trying some when I got a tester for the infamous Estee Lauder Advanced Night Repair serum. Having found out that it costs a limb and then some, I tried to find cheaper alternatives. I instantly went to The Body Shop and came away with two options. The first thing you should know about me and my skin is that I have very sensitive, allergy prone and dehydrated combination skin. My cheeks are covered in milia, especially in winter. Making sure I put the moisture right back in is therefore high on the agenda. And I can’t just use any old cream and give them a whirl. Even products formulated for sensitive skin have caused me to break out and develop itchiness and redness to the point where I was left with a burning sensation. The Body Shop was my first stop, because I have tried and tested many of their Aloe Vera range products and absolutely love it. 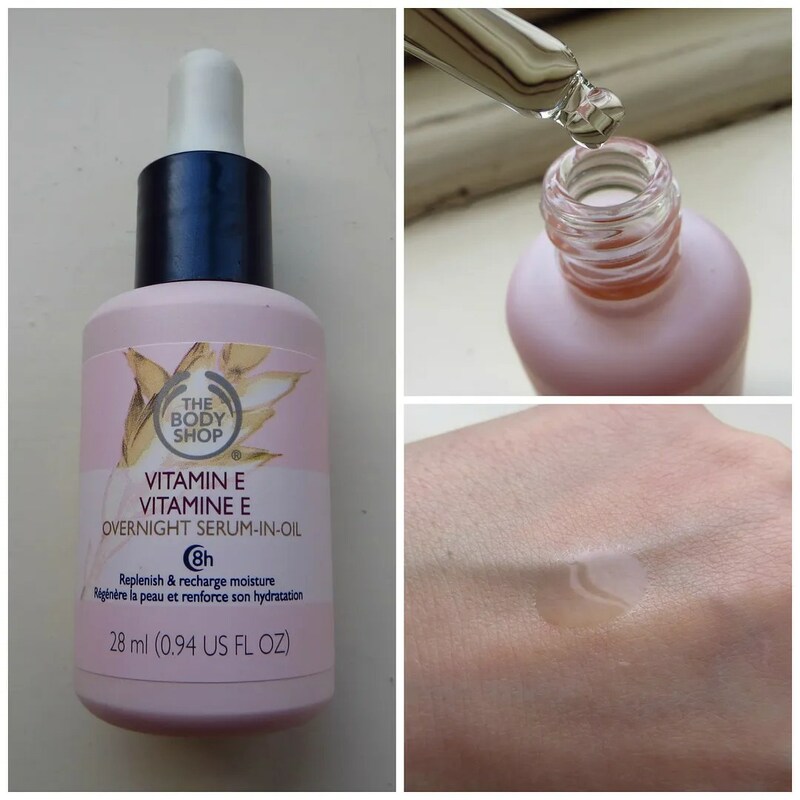 When I was in the store, I originally picked up the Nutriganics Smoothing Serum, but then ended up picking up the Vitamin E Overnight Serum-in-Oil when it was newly released, because I was curious. Especially now it’s winter and the colder weather makes my skin feel like it’s about to crack at times, I thought it would be a good time to let you know how I got on with these two serums. Ever since I started using this, I have really started to notice a difference in my skin. In fact, I love it so much, that I use this every single day. Just a few drops will do and I apply this before my night time moisturizer. For one thing, I love the smell of this. It smells clean and like baby shampoo but in a good way. It is absorbed super quickly and I wake up the next morning with my skin feeling as smooth as a baby’s bottom. I’ve been using this for 6 months straight and have not one had an allergic reaction to this and despite the fact that the main oil in this product is from wheat (I’m wheat intolerant foodwise). It also contains fragrance, but so far so good. The substance of this is very runny and non-greasy. It is more substantial than water and it comes out of its packaging by squeezing the little dropper it comes with. Hmmm, someone’s had a good look at the Estee Lauder serum, hadn’t they? By now the packaging is starting to peel off, and I have not yet noticed this being almost gone. Since you only need a few drops, this lasts a long time. Only downside is that you cannot see how much is left inside the bottle as it is covered in an opaque pink layer. It makes my skin feel more plump and hydrated and I can tell when I skip this a few days in a row. Our certified organic range has been created for the first signs of ageing. This pre-moisturiser hydrates, helping to smooth skin. It leaves skin softer, more supple and revitalised. The first serum I tried was this one. I love the Nutriganics Eye Cream and prefer it over the Aloe Vera one because the latter just isn’t doing enough for me. So that’s why I decided to try this. I found that using this on a daily basis as a pre-moisturizer, is a bit much for my skin. In my oilier areas, I developed spots and my skin got a bit greasier. However, I love using this on days when my skin needs a bit of an extra pick me up. Especially after a workout and a shower combo, and of course: this time of year. This is a great product if your skin needs a little bit extra in its life. 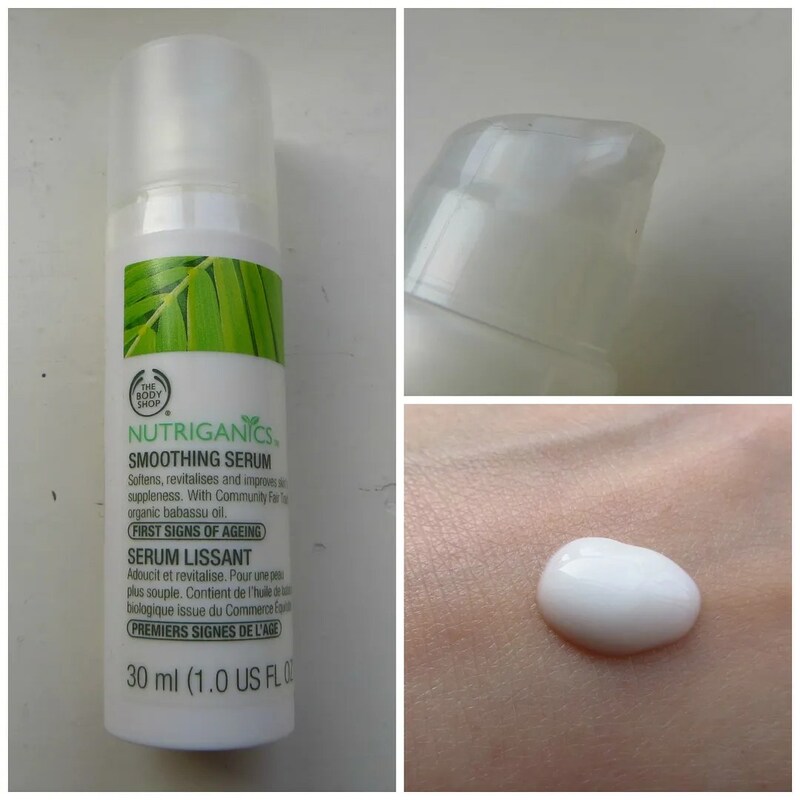 Substance wise, this serum is much more creamy than the first one. It’s still thin and runnier than cream, but it definitely does work. It again also absorbs quickly and has not caused any allergic reactions. The packaging is really clean and handy as the product is dispersed through a pump. Ingredient wise there is a bit more abracadabra on this list than on the other one, but this doesn’t have any added perfume. Whatever scent it has comes from natural ingredients, which is a plus. It’s a mixture of oils, aloe vera, and additives. I’m guessing it’s one of the additives that makes my skin to become greasier over time. 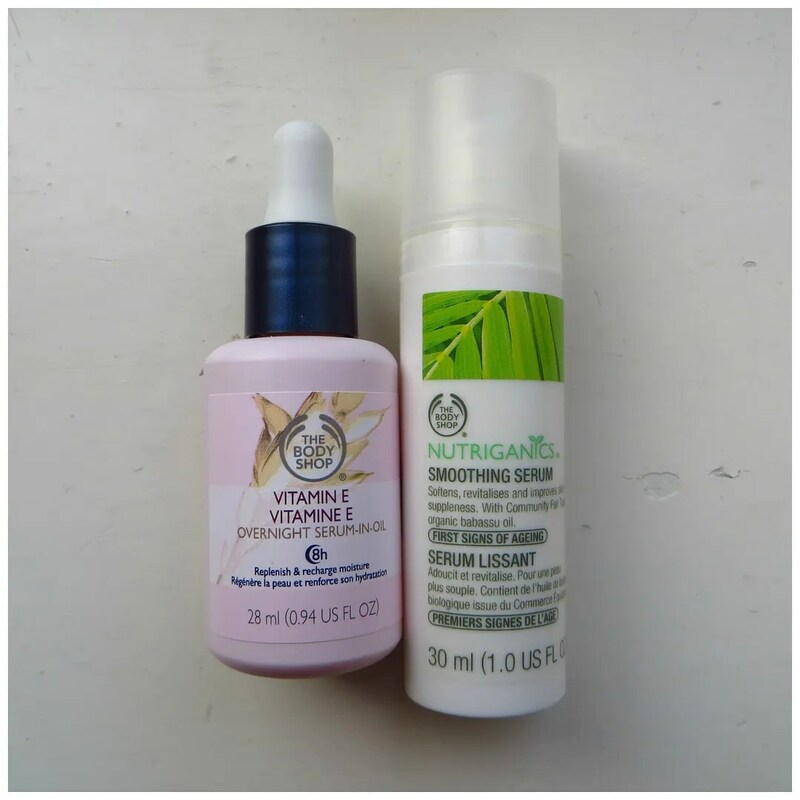 All in all, I am enjoying using these two serums. The Overnight Serum-In-Oil has become part of my daily skincare routine and I love using the Smoothing Serum whenever my skin needs something extra. If I had to pick only one that I could repurchase when these run out, I would go with the first one because it is so easy to use and works on an every day basis. For an extra pick me up, using a face mask is a cheaper and faster option. What is your favorite serum?